Young girl in red dress with puff sleeves. Young girl in red dress with puff sleeves. 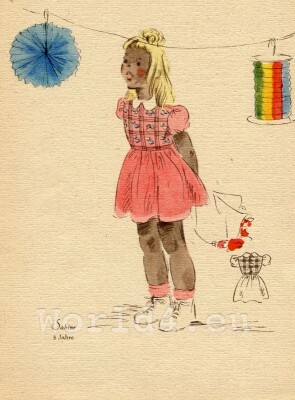 Vintage children costumes. German Girls dress 1940s. Costume drawing.